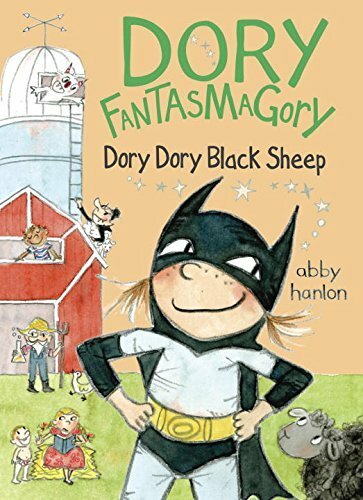 Dory's imaginative adventures continue in the third book in the Dory Fantasamagory series. The challenge of learning to read is explored in this book as Dory struggles to read the books her teacher provides her and as she observes her friend, Rosabelle, reading chapter books. Dory gets frustrated with her reading and even states she is a bad reader, but she persists in her desire to get better. Dory is as equally funny and charming in this book as she was in the previous two, but I think the lessons about the importance of reading practice make this one my favorite. I think this transitional reader chapter book will capture the interest of many young readers because of the characters, dogs with human-like personalities, and the plot, which is a bit silly. 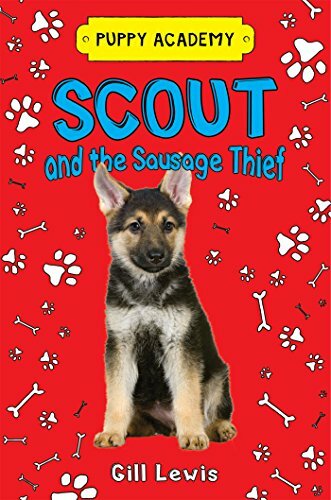 Scout is a puppy, training to be a police dog, who dreams of catching the sausage thief and hopes to earn a badge by passing her tests at the academy. Her problems begin when she fails her tests and this snowballs into a bigger problem when she is falsely accused of being a thief herself. In the end, Scout's warm heart does not go unnoticed. The illustrations in the book are adorable and fun. For the past few weeks there seems to have been a book in my stack that is in some ways sad. This would be the one this week, as there are more than a few sad parts to this story. The main character, Ben, is facing quite a few challenges in his life. To begin with, Ben's foster mother dies, leaving him an orphan. Although Ben is faced with situations that lead him to believe that good just doesn't last, he remains warm-hearted as he takes in an abandoned dog and befriends a very sick girl. I liked that Ben and his new friend connected through books and writing. The idea that friends can become family created a sense of hopefulness, in spite of the sadness. I have just started reading this book for a virtual book club. This book is about the instructional practices for teaching literacy that are linked to student achievement. The practices highlighted are those that will help students make more than a year's worth of growth and foster surface learning, deep learning, and transfer of learning. In the first chapter, the authors make the case that both surface and deep learning are important, but teachers need to know when students need each type of learning and which instructional practices are most effective for the learning situation. I have seen both Douglas Fisher and Nancy Frey present at recent conferences and the knowledge they have shared have made me eager to read this book. If you are interested in participating in the virtual book club, which will begin next week, join here. Fun to hear about the new Dory book. My older granddaughter is moving into chapter books so I keep a list of books she might enjoy. 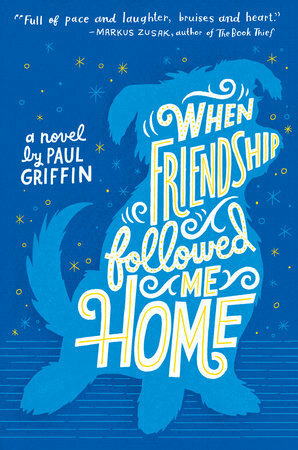 Thanks for sharing about When Friendship Followed Me Home. There are some sad books recently available, but I imagine they touch kids in ways that help them feel less lonely. Thanks for all Lisa. 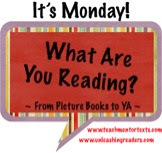 Have a great week reading! I've heard great things about When Friendship Followed Me Home. I would like to get to it at some point. Love the new Dory installment! Need to read When Friendship..., but the other two are probably too young for my students. They look like fun, though. 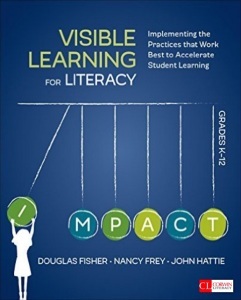 I've been reading Visible Learning for Teachers: Maximizing Impact On Learning by John Hattie in preparation for a "retreat" we're having at my school next week. The information follows a lot of what we've been doing as a "focus" school. It looks like this book goes more specific with the concepts presented, as it focuses on literacy. Maybe I'll ask about it at our "retreat". Maybe our principal will pay for it, if we ask. Have a great week! When Friendship Followed Me Home sounds good. I had not heard of this one. Thanks for sharing! I'm so excited about the new Dory book!